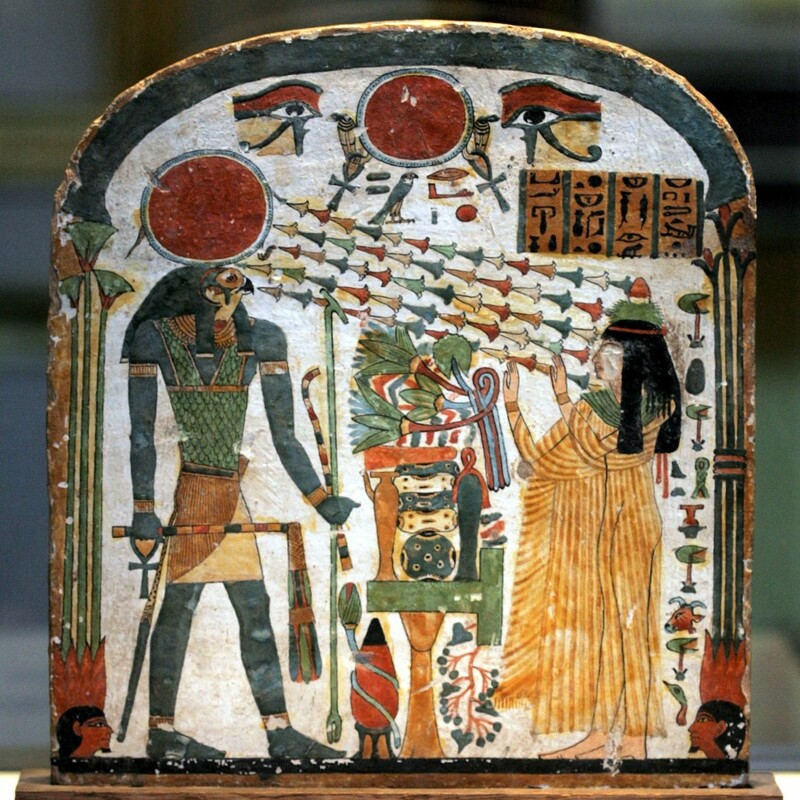 This is a supportive image of a stele of Lady Taperet and Ra. This is depicting Taperet offering the god Ra with goods and he is blessing her with his sun rays of lotuses in return. This was made in the 10-9th century BCE (22nd dynasty of Egypt). It is a painted wooden stele.